As has been widely speculated for a while, seemingly Disney is drawing up plans for a new theme park on the Costa del Sol. 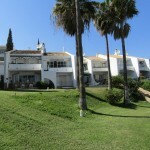 Sites being sought are mainly in the Manilva area as access is very good and there is space available. Disney officials have been discussing issues with the Manilva authorities and speculation is there will be a summer camp opening first, followed by an eventual Disney theme park a few years later. If this does materialize, the effect on Southern Spain will be immense. Regeneration of that whole area with the rental market recovering for holiday rentals as well as longer term rentals for the vast array of staff which would be required to keep the park open. Apparently a deal would be negotiated with Disney excepted to contribute to the cost of a new motorway from Seville to the Costa del Sol. Disney had planned to build a theme park in Southern Spain in the late 80’s with the final sites narrowed down to Paris and Estepona. Paris was eventually chosen largely because of better infrastructure, but the site in Paris has been plagued with bad weather and cultural differences.